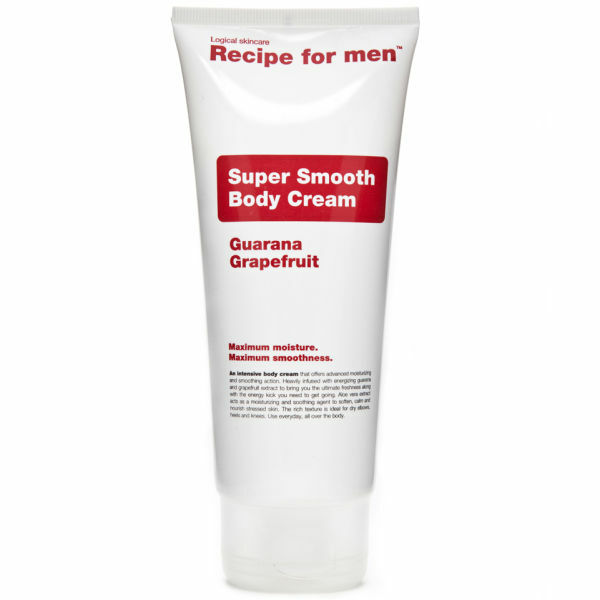 An intensive body cream that offers advanced moisturizing and smoothing action. It contains a rich complex of the most trusted moisturizing, softening and calming ingredients, such as shea butter, aloe vera, olive oil and allantoin. Heavily infused with energizing guarana and grapefruit extract it brings you the ultimate freshness along with the energy kick you need to get going in the morning. Antioxidant properties helps fight free radicals. The rich texture is ideal for dry elbows, heels and knees. I´m a gym enthusiastic and my skin was getting very dehydrated because I shower after every workout. Since I started using the Super smooth body cream from RFM, my skin has been smooth all over again. It´s probably the best moisturizer that I ever used. I recommed it!